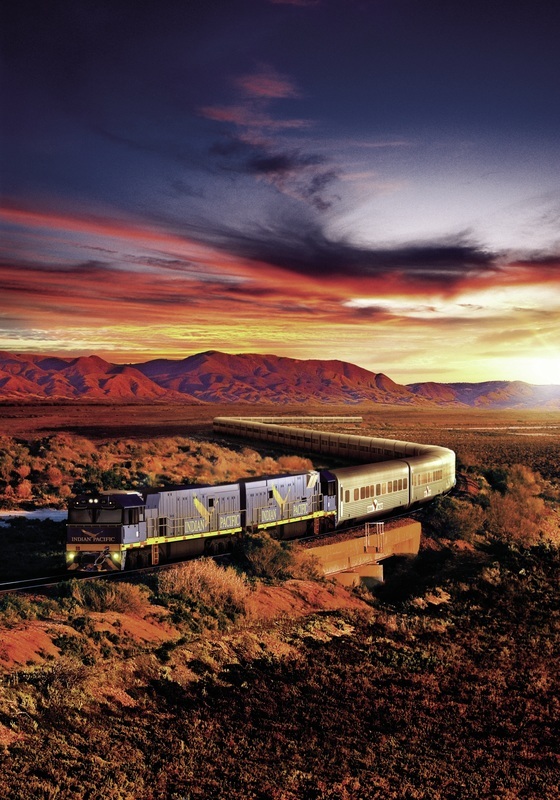 Not long ago, you could jump aboard the Indian Pacific from Sydney to Perth for a lot less than the cost of flying economy across the continent. But it's a different story today with one of the world's great railway journeys out-pricing the trip by air. It's simple really. The train journey these days is a four day/three night adventure in either Platinum or Gold Service class with all gourmet meals, selected complimentary drinks and excursions included in the price - which is around the same as staying at a five-star city hotel with meals and a few top drops. But price aside, it's the glorious Australian landscapes – from the lushness of the Blue Mountains to the vast wilderness of the Nullarbor Plain – that you can't see from 35,000 feet up above the clouds. For a train pulling as many as 32 carriages with an average length of 774 metres, the Indian Pacific team at Sydney Central Station make the boarding process appear like a simple operation, despite having to load the heavy suitcases of most passengers onto a separate carriage. And it's not surprising that the train – resplendent with its wedge-tail eagle symbol on the side of each carriage - slowly heaves its way out of Sydney's Central Station, picking up speed in the mid-afternoon sun as it heads west on the long-haul journey – a whopping 4352 kilometres (2704 miles) to the sun-drenched shores of the West Australian capital. They even serve the 'upper classes' with an early morning cup of tea every day. 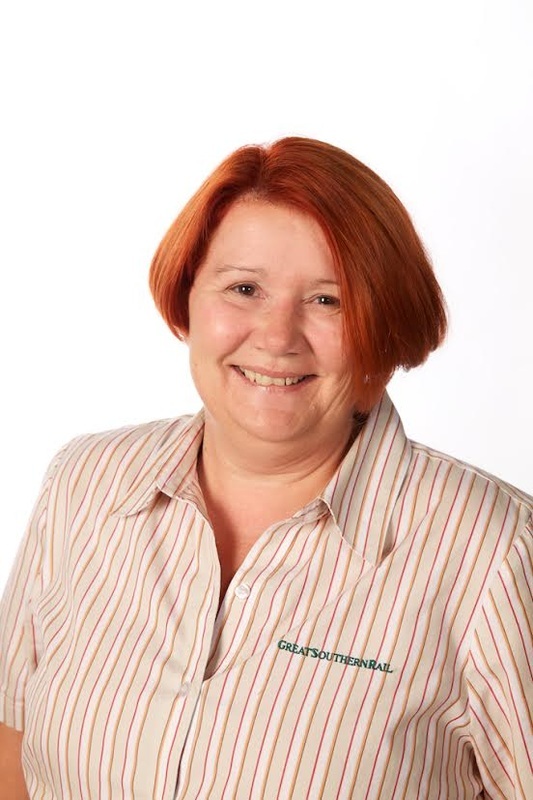 This was a much-needed pick-up after the first night aboard, particularly as were up just after dawn to trudge around the so-called Silver City of Broken Hill, where the golden days of its rich lead-zinc ore deposit have seemingly fallen in a hole. Back on track, Adelaide beckons in another seven hours and time to stretch the legs for an extended stay when Platinum and Gold Service passengers can opt for a tour of the fast-growing South Australian capital or a coach trip for a Shiraz or two in the Barossa Valley, topped off with a succulent roast lamb dinner at the Farm Shop of celebrity chef Maggie Beers - a delightful end to an indulgent half-day quaffing some of Australia's premium wines. No sooner had we hit the unusually green Nullarbor than wedge-tail eagles began to hover above in search of some tasty morsel. Rabbits and reptiles -and perhaps a hairy-nosed wombat – would be on the menu list for Australia's largest bird of prey with its massive two-metre wingspan. One of Australia's largest population of these wombats live on the Nullarbor, as do more than 80 reptile species and over 200 bird species. Derived from Latin meaning 'no trees' - the Nullarbor was not living up to its name as miniature trees had burst into life as we zipped along the world's longest straight railway stretch covering 478 kilometres between Ooldea and Loongana, with human habitation non-existent apart from two couples living at Cook, where we clambered off while the train was topped up with fuel and water. There's still another 1520 plus kilometres to go as the replenished train set off for the last stop before Perth. This time it's in the evening glow of the moon at Rawlinna, a railway siding next to and named after Australia's largest sheep station. 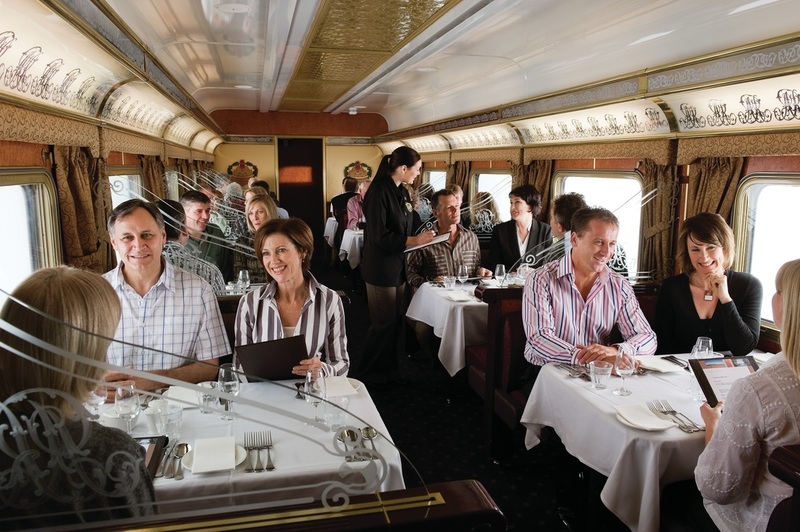 Eager - and hungry – passengers are met by lanterns and log fires (it does get cool after dark on the Nullarbor) as they mix for a slap up roast dinner on trestle tables laid out as far as the eye can see along the side of the train. It was an idyllic scene under the stars that will live in the memory of hundreds of people travelling on the weekly Sydney-Perth Indian Pacific run. The gold mining city of Kalgoorlie passed by in the middle of the night with just a matter of hours before the Indian Ocean was a continent away from its Pacific counterpart. 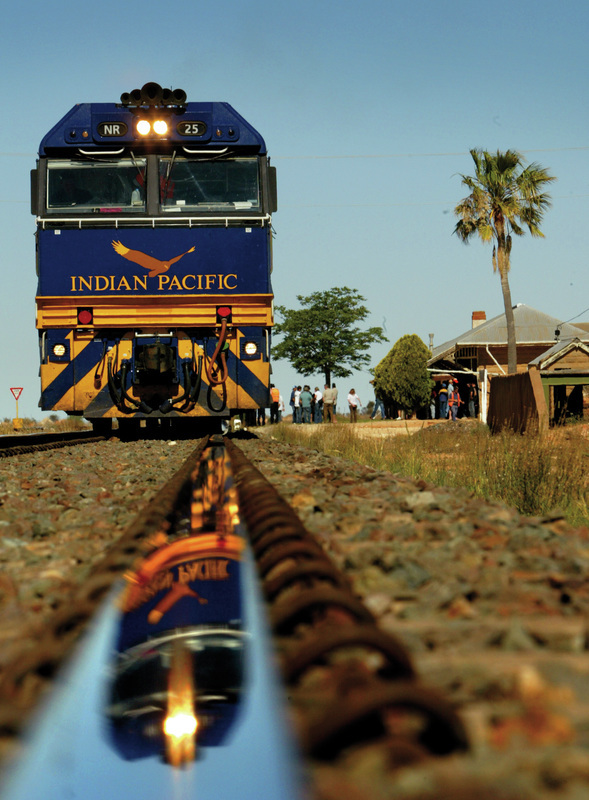 After an epic, eye-opening journey – with many amusing moments (and few dull ones) - the Indian Pacific finally rolled into East Perth Station 65 hours after it left Sydney Central.